Rainbow Baby on the way! RED ALERT. THE RUMORS ARE TRUE. I AM PREGNANT, AND I COULD NOT BE MORE EXCITED. As I was waiting to be able to take a pregnancy test, I kept watching this video because it is so funny it makes me cry every time. I was nervous to take the test because honestly, I wasn’t sure what I wanted it to say. It was the first month we tried, so I knew a negative result was likely. I woke up early and took the test. Dallas and I waited the two minutes and went to check the result, but as Dallas said in a really boring video we took of the whole ordeal, “nothing”. I was not surprised that it was negative, but I was surprised how it made me feel. I was disappointed. I texted my sister Natalie who has a rainbow baby of her own after losing her first daughter. She knew I would be testing that morning because she knows every little detail of my life. Maybe too many details?? Nah. I told her it was negative and I was surprised to be a little sad about it. There are just so many feeling swirling around trying for a rainbow baby. Of course I wanted another baby, but I was just so scared to open myself up again. If something went wrong, I knew I wouldn’t be able to handle it. In addition to that, my pregnancy with Alice, was seriously the worst. I threw up every single day from conception to delivery. I was scared to deal with the illness again, and I was even more afraid of losing this baby too. Because it was still early, Dallas and I went back to sleep. After a few hours, we woke up for the day and Dallas went to throw away the test, but before he did, he gave it another look. I started to explain from across the room that tests aren’t valid after so long and it was probably just an evaporation line that can give the false impression of a positi- “OH MY GOSH IT DOES”. Obviously, I sent him to the store to get several more tests and each one looked more positive than the last. I was nervous and it all seemed like it couldn’t be real, but I also felt a little spark of excitement inside of me. It was so perfect. I feel like the initial negative gave me the chance to realize I did want to be pregnant! I wonder if I would have felt more scared and stressed if it had looked positive right from the start. I knew what my due date would be if I was right about my ovulation day, but I thought there was no way I could be right. It was too weird. 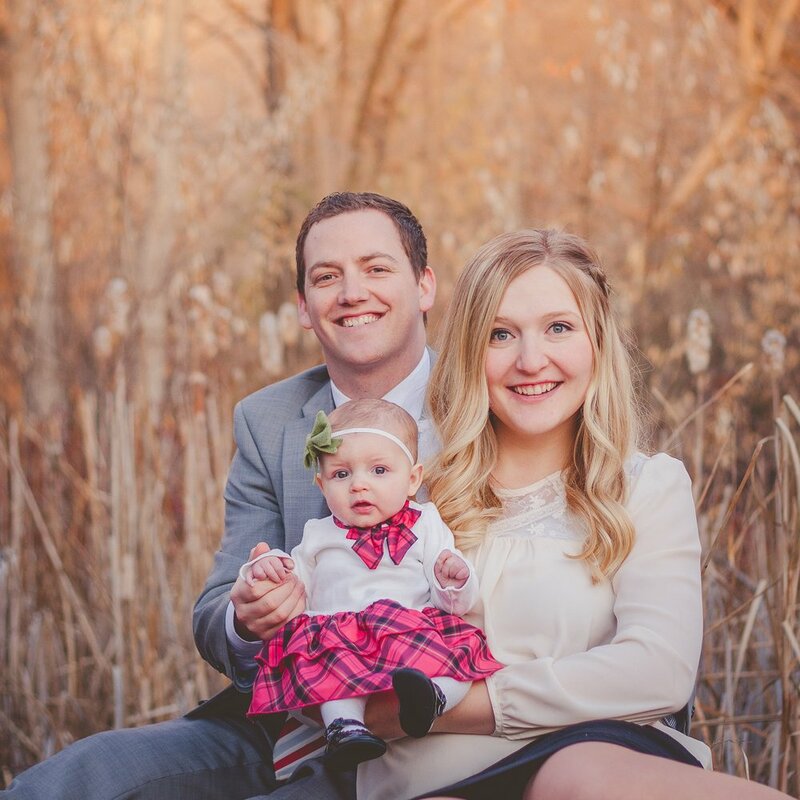 After I found a Doctor in Boise who would take my insurance, I called their office and explained that I had lost my first daughter to SIDS and they could be expect me to be extremely high maintenance. They were so kind and said I could come for an ultrasound as soon as they had an opening. I went for my first appointment when I was barely 7 weeks, and they showed me my new baby. I immediately could see the tiny heart fluttering. I was so relieved. I was sure something would be wrong, or for some reason there would be no baby at all. As they were trying to figure out my due date, they also measured the baby, which measured the size it was “supposed” to, to the day. My due date is January 5th. That’s the anniversary of the day Alice passed. To be totally honest, that fact kind of freaks me out. If I could bump it up a week or two, I would. Alice was born on her due date, but it’s unlikely that this baby will be so I try not to worry too much. Plus, I have started to feel more comfortable with that due date. Like maybe Alice is sending a little sibling on that day as a little hello from heaven. It seems very poetic. I think with more time I will have more thoughts and feelings that allow me to be comforted by that due date. Just yesterday Dallas and I were able to go see our cute new baby again. Since the last scan, it has grown arms and legs. Watching them wiggle around made me emotional. I have never been a crier at ultrasounds. I usually just laugh with elation. But this time I cried. I felt more connected to my new little bug than I did before and I felt ready to share its little life with the world. I am 10 weeks, 5 days and I cannot WAIT to bring this little rainbow home. 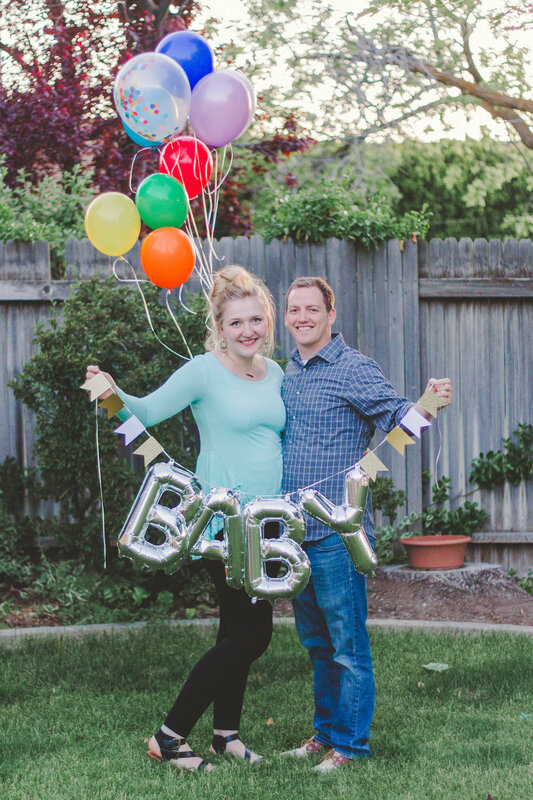 I chose the rainbow balloons for the announcement because when someone has a baby after a loss, whether it be through miscarriage, stillbirth, or infant loss, the next child born is called a rainbow baby. Something beautiful after the storm. I already feel like this little life has introduced a new light and beauty to my life that I have been missing since Alice passed in January. Of course my joy will be more full when this baby is actually born, and even then nothing and no one can ever replace Alice, but I am comforted knowing I am and will be a mother again- and soon.